In my younger days, every time the power went out, I’d kick myself for not being better prepared. The kids would scream for me from wherever they were in the house. I’d conduct a frantic search for flashlights only to discover the batteries were dead or missing. Do you know how hard it is to search your home in the dark? I’d find myself doing this ninja in the dark search almost every time and I’d swear next time I’d be ready. But the lights would come back on after several minutes or hours and life’s other obligations would take over. Like so many other people getting prepared took a backseat to life. Then, came the blackout in August of 2003. No storm, just intense heat and the power went off in the middle of the afternoon all over Northeast Ohio. Determined not to be without lights overnight, I dragged the kids to the drug store two blocks away for ice, flashlights, and batteries. A security guard with a flashlight was escorting people through the store one at a time. The computers weren’t working and cashiers were only accepting cash so if you didn’t have cash, you were out of luck. Strategically store flashlights and other alternative light sources throughout the house so everyone has immediate access to light. During a power outage or blackout, you’d be amazed at how disorienting it can be to walk in the dark, even in your own home. Without that nightlight in the hall or the light that shines in from the street light outside, your home is pitch black! The potential to trip and fall or run into something multiplies tenfold in the dark. If you have younger children, it’s a good idea to store a glow stick near their beds. Show them how to activate it, and instruct children to stay in their beds or rooms during a power outage until you come to get them. Give older children, ten years and up a hand crank flashlight or a fully charged headlamp to store near their bed. Choose a designated meeting place on each floor. Kids often misplace or wear down the battery in their flashlights. They should know to either stay in their rooms till an adult comes or go to the meeting place for the floor they are on rather than attempting to navigate stairs in the dark. So, in addition to a basic emergency power outage plan, what else can you do? Quite a few things, actually. It’s a good idea to prepare a blackout box for your home and possibly one for your car and even your work office. A blackout box is simply a waterproof box or other container that holds everything you might need in the case of a blackout. Having a blackout box keeps you from having to search all over the house for needed items. Optional: you many want to make a DIY Faraday cage to protect your electronics from electromagnetic EMP pulses. Replace the battery in your alarm clock regularly so it will work even in an outage. Charge your cell phone any time the battery life drops below 50% to increase the likelihood that it will be fully charged when a blackout occurs. Consider buying a portable or even a full-sized home generator that you can rely on in many other emergencies as well. Include a small folding solar panel setup in your BOB and research ways to at least install a solar power system as a backup to prep your home for blackouts. Store a fully charged portable power bank to power your cell phone and other electronics. Most people prepare for a blackout by stocking up on battery powered flashlights and candles or lanterns. These are both good options to have on hand. I definitely recommend you keep at least one or two high-quality tactical flashlights in your home ready to use at any time. But those of you with children and grandchildren will understand the struggle over having a working flashlight AND batteries when you need them. One of my favorite things to have on hand in blackout is several hand crank flashlights. These never need batteries and provide light via three bright LED bulbs. Unless the hand breaks, it’s going to provide bright light with minimal effort. My Energizer Carabiner hand crank flashlights have been on hand three years now without fail. I’ve yet to pick one up, crank the handle, press the button and be without light. If the light is weak then I crank it a few times as I head down the hall or wherever I’m going and I have great light. The kids and grandkids can operate them safely and thus far they have proven to be indestructible. One of the biggest threats to your survival and a big reason to prep your home for blackouts has to do with food and water. In today’s society, we have come to rely heavily on running water in the home and the electrical refrigeration and freezing of food as a way to preserve it. Keep in mind that if your freezer is full and you keep the door closed, food will stay frozen for approximately two days. But if your freezer is only half full when the power goes out that time drops to about twenty-four hours. Once you see food starting to partially thaw, you will need to cook it. Cooking food means you’re good for the next 24, maybe 48 hours if you keep the leftover cooked food in a freezer. If the temperature in your fridge or freezer goes above 40 degrees Fahrenheit for more than two hours, you’ll probably need to discard it. Even if the power comes back on, trying to refreeze completely thawed food can make you sick. You will need water properly stockpiled to use for things like cooking, hygiene, and flushing the toilet until the power is restored. Make sure you have an alternative way of cooking food, especially for those with electric stoves. Refrigerators and freezers don’t work without electricity which means stockpiling canned foods and home canned foods are a great weapon in your arsenal to prep your home for blackouts. 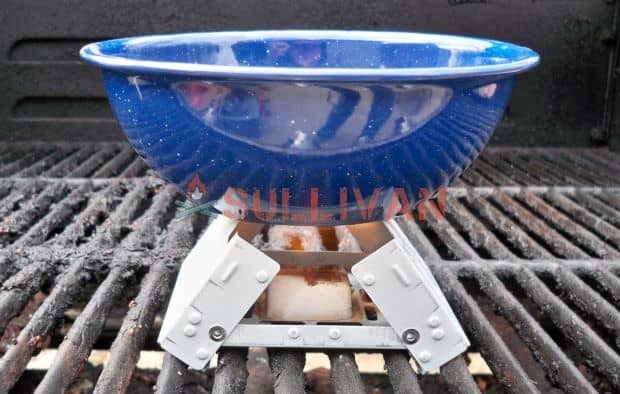 A propane or charcoal BBQ grill is a great back up cooking method during blackouts because its size will allow you to cook that meat from the freezer quite quickly. Some people choose to build a solar-powered oven which is great if climate allows for it. Another area to consider when you prep your home for blackouts is your heating needs, especially if you live in a climate where blackouts could occur during cold weather. Even indoors, hypothermia can be a very real threat to anyone but especially for children and the elderly. There are a number of different options for staying warm without electricity during a blackout so simply choose the option or options that will work best for your home and your situation. Also consider a butane or propane stove (+ fuel), wool blankets and, as a means of last resort, a clay pot heater. Implement Your Family Power Outage Plan. Everyone should know what to do when the power goes out and have either a glow stick or flashlight within reach. The family will meet in the predetermined room of the house and decisions can be made as to what happens next. This is the point where you figure out which cell phones still have power and confirm everyone is unhurt and has a working glow stick or flashlight, etc. Determine as much as you can about the power outage. Knowing why your home is without power will give you a better idea of how long the outage could last. A power outage lasts several hours or more, whereas brownouts and blackouts can last for several days or even weeks. Check outside to see if streetlights are working or if lights are on in your neighbors’ homes. If streetlights are out, call a family member outside the area to see if they have been affected by the outage also. If streetlights are on or neighbors appear to have power, someone needs to check fuses and breakers in your home first. Protect yourself and your home from any further damage. While you wait for power to come back on, unplug electronic appliances and major appliances to prevent damage if and when the power comes back on its own. Notify your utility company of the power outage if you do not have any indication that they are aware of the problem. Don’t assume “they must know” because if everyone in the area does that, it could be hours before they discover the outage during routine procedures. 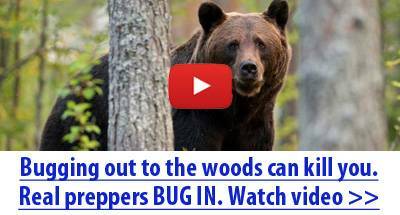 Calling them may also give you information about an estimated time of restoration as well. Blown fuse or an overloaded breaker or circuit in your home can cause a temporary loss of power. One of the best ways to prevent this is to inspect fuses and circuits regularly. Replace fuses on a regular basis or keep a spare ready to swap it in as soon as a fuse blows. Be conscious of how your home is wired and which power outlets are connected to the same circuit. Do your best not to overload a circuit by turning on or plugging in too many things at once that are on the same circuit. Old trees can fall or snap at any time and fall onto power lines. Inspect your property every time you mow the grass and at least three or four times in the winter months. Look for any trees that appear weak from rot, have dead hanging branches, or seem to be leaning too far and take care of them. Prior to the start of severe weather season, take time to prune dead branches and remove any dead trees that could fall onto the power lines if loaded with ice or snow. An overload in the power grid occurs for many reasons but one way you can do your part to prevent an overload on the grid is to only use the power you need when you need it. This means prep your home for blackouts by shutting off lights and unplugging electronics and appliances that aren’t in use. Use air conditioning and fans only when the weather is hot and miserable instead of keeping it on 24/7 all summer. Severe weather is the most frequent cause of brownouts and blackouts in many areas. Storms that bring high winds, hail, ice, or heavy snow can bring down power lines and cause issues that can’t be predicted. The only way to prevent loss of power for your home during a storm is to be prepared with a generator or other forms of non-electric power. A motor vehicle accident that takes out a power pole or lines can wreak havoc on an entire neighborhood and sometimes an entire town. Do your part by driving defensively and responsibly. Avoid driving when you are overly tired, don’t text while driving, and refrain from driving under the influence of alcohol or narcotics. No matter how vigilant you are at preventing power loss, there will be power outages and blackouts that you cannot predict or prevent. 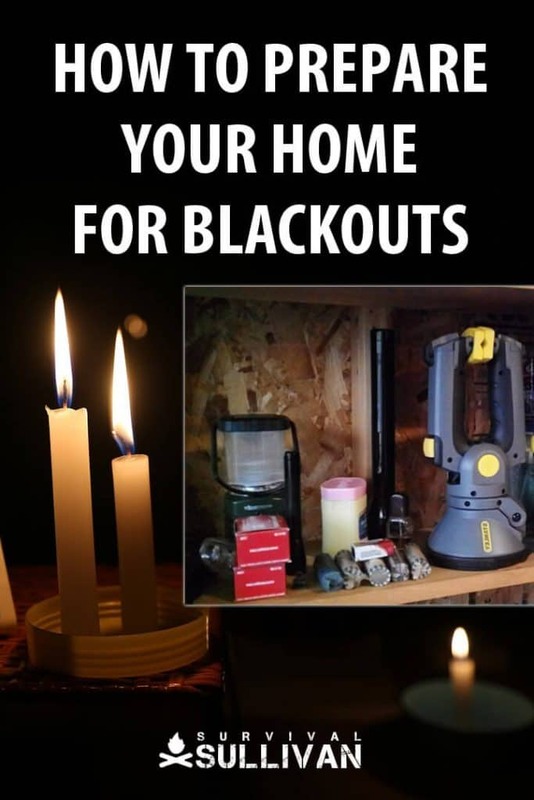 If you create a family power outage plan and consider how to prep your home for blackouts in the categories we mentioned above, you’ll be pretty well prepared for the next power outage in your home. Have you experienced a power outage? Did you feel prepared or were you doing a ninja search in the dark for supplies? I use ordinary things for multiple uses. The way I did it when our power was out for 24 hours was I used our solar path lights for inside. A 5 lumen solar light will light a room all night and in the morning I put it outside to recharge. I have a power inverter mounted in my truck for work at job sights that have no power. That day I ran a extension cord inside to keep the refrigerator running and we cooked on the camp stove. The fried chicken, mashed potatoes and gravy etc.were great. Thankfully we live in a low crime area so nobody messed with my truck that sat in the drive running for 24 hours. I am getting ready for next time building a solar system with a bank of 12 volt car batteries in my camper that can power things silently. Be sure those batteries are fully charged in freezing weather, charged car batteries don’t freeze, but uncharged do, and freezing ruins the battery. Permanently I am told.